This photographic project by Thijs Koelink & Bruno Slagboom is about the passion for contemporary and modern structures. Firstly, MAP stands for Monochrome Architecture Photography. Secondly it literally contains a map of the places where they take their signature images. High contrast, minimalism, black and white, abstraction, monumental and geometrics are important elements. cannot be too much grip in the photographs as well. One of the diff erences is the choice for the fi lm-size. Thijs uses a panorama format, so he can capture a very wide surface; this results in an estranged image. Sometimes he even uses the same film twice to enlarge this estranged feeling. Bruno uses a 6×7 cm film, so his images are almost square. He zooms in on the subject in order to abstract this part until it is unrecognizable from what it originally was. The MAP – project originated at Utrecht. 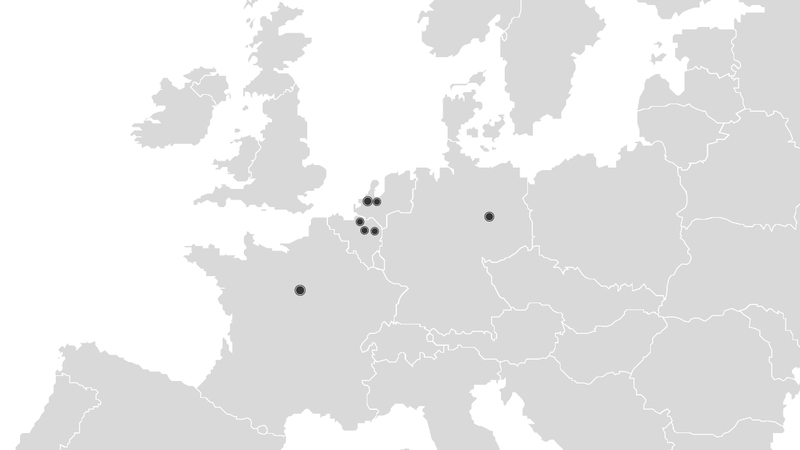 Then Rotterdam and The Hague are other Dutch cities they attended. Thereafter they went to La Defence, Paris. One of the included series is about La Defence, which resulted in an exhibition with light boxes. Recently they went to the train-station at Liege, Belgium, Bruno’s second series contains pictures from this station. Another series was made at the Atomium by Thijs. The search for abstraction within the architectural landscape continues. Firstly they want to visit places of great structures and create new forms. Simultaneously it is important to exhibit these works so that the world can be the witness of their vision. The exhibitions of the images need to be experimental, besides a classic presentation of photography, they exhibit with light boxes and intend to present in book form, installations and audio-visuals. They want to build with photography and be an inspiration for a futuristic approach towards architecture.